I've giving the new collaborative album from Kanye West and Kid Cudi a bit of a listen for days now and every time I wind up unable to quantify my experience and my confusion leads to me giving it another listen. And the result is always the same as before. If I have got one thing to say about Kids See Ghost is that it is absolutely brillant, the album was really well executed. Everything about it was top-notch, and the arrangement was extremely well done. The album starts off with Feel the Love which i would know as my descent into an almost trance like state with Cudi's voice drawing me ever deeper. The Pusha T assisted joint is easily my favourite joint off the album. While Push was masterful with his delivery but the part I really enjoyed was Cudi going off with the whimsy, and when he went Grrrat-gat-gat-gat-gat, I felt that in my soul. Fire doesn't quite feel like Feel the love to me but it works quite well, seamlessly going with the flow set by the opening track. 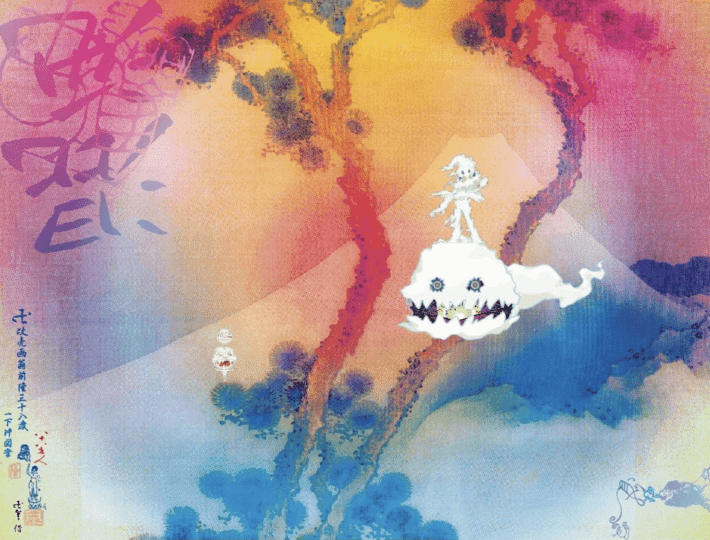 Kids see Ghost was starting to feel like a Cudi album, i kinda feel that this was actually a Kid Cudi effort with Kanye West peppered over it to get people's attention, until the 3rd track which kanye just drops a few bars that don't quite do much unless you think that "Bought her alligator, I ain't talkin' Lacoste" is a decent bar. Freee and Reborn were amazing, Reborn is easily the best track off the album, the track makes me feel like a weight has been lifted off my shoulder whenever i hear it. The title track did very little for me and not even Mos Def/Yassin Bey could make it any better for me. Cudi Montage was another dope cut off the LP, as with all the other songs, Cudi shone.. Kids See Ghost is a dope album and kinda redeems Mr. West missteps with ye although the album just felt like it was a Kid Cudi album with a few guest feature. And it works even better. The album feels like Kid Cudi used some of the mechanisms that helped him overcome his mental health issues and made an album off it. which helped me connect with the album better, the vulnerability and upliftment in his voice radiated from the cups of my headphones into my soul. Listening to Kids See Ghost had me thinking about how much good music i have been missing out for years by snobbing Cudi.